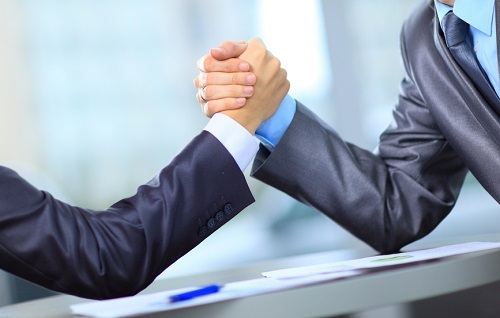 Competition may be ramping between brokers and lenders for client business at renewal time. We spoke with two brokers and a lender to get a sense of how that delicate process is navigated. Our story starts with a broker who contacted MortgageBrokerNews.ca with an axe to grind. He’s considering leaving the industry as a result of dwindling renewal business. Lenders are becoming more aggressive at renewal time and offering rates he couldn’t compete with, he said. “What we do is bring business to lenders, obviously, and what they’ve been doing is at renewal time is offering (clients) rates we couldn’t possibly match,” the broker, who spoke with MortgageBrokerNews.ca on condition of anonymity, said. “They offered rate guarantees for seven months. The most we can get is 120 days. So they were pricing us right out of business. The broker, who has nearly 20 years of industry experience, claims his income has been cut by 35% as a result over the past two years. But does this broker have a leg to stand on? Dustan Woodhouse, a broker with Dominion Lending Centres, doesn’t think so. Lenders who contact clients at renewal are doing so to cover their bases, Woodhouse argues. And that’s just good business. The competition is healthy, according to Woodhouse. And all is fair in love, war and, of course, business. After all, brokers are free to put up their own fight at renewal. Speaking from the lender perspective, Elaine Taylor, vice president of sales at MCAP, says it’s in their best interest to try to service the customer at renewal. “There is a process that says within a certain number of days before the expiry of the mortgage, a lender would reach out to see if the customer has been serviced,” she said. "We don’t know who has and hasn’t been contacted by the broker.